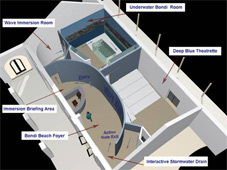 The Marine Discovery Centre is situated in the Pavillion at Bondi Beach. 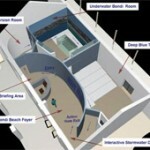 This facility will include a small theatre and a virtual underwater excursion of Bondi Bay. It is primarily an educational facility with the focus being on the right way for humans to interact with the marine environment. Everingham Audio has undertaken the electrical, lighting automation and audio/visual integration for this project. Scheduled to open early 2006.